No, miracles do NOT happen on a Sunday, at least not on this Sunday. We were woken up my voices outside in the street and saw a steady stream of people walking past the hotel towards the school. Today was election day and the school was a polling station. There was no point in ringing anyone as they were all at home enjoying themselves, so I rang Angie and asked her to try and obtain some quotes for Europcar from England. No joy there either. The hotel receptionist, who recognised me from previous visits, took pitty on us and when we asked her if she could get us a taxi who could take us to see cacti, she first thought this a bit strange but after a while came up with the goods! Praise goes to Jonathan for his persistence at a time when I was ready to curl up and sleep my way out of the crisis. 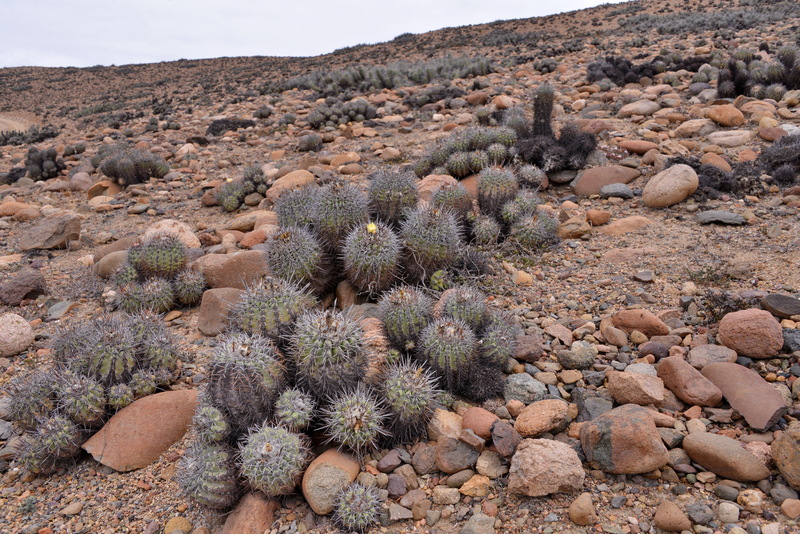 I had given him little chance to pull off this cactus tour by taxi, but by 15:00 there we were, on our way to Freirina and the mixed population of Copiapoa coquimbana, C. echinoides and C. alticostata. 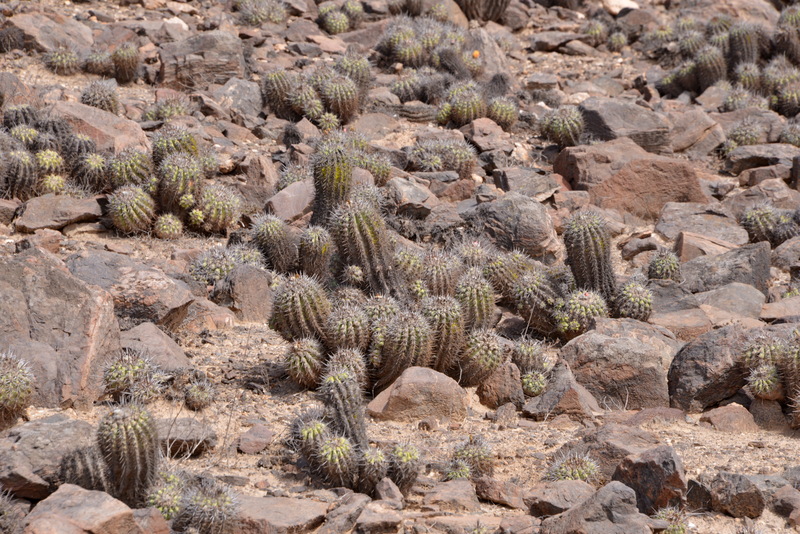 Always nice when someone is already tending to confusion by seeing too many Copiapoa in habitat, to show them this lot. Work that one out! Our first stop, S2948, was signposted to Freirina Airport! Honestly! 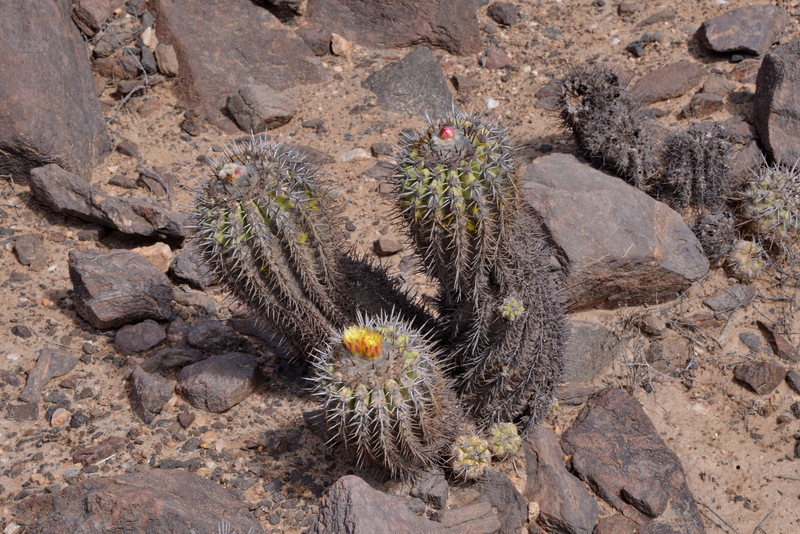 The cacti here, as in other nearby C. alticostata on previous trips, were growing very densely together. S2948 Copiapoa alticostata, C.coquimbana and C. echinoides are all said to grow here, but which is which? 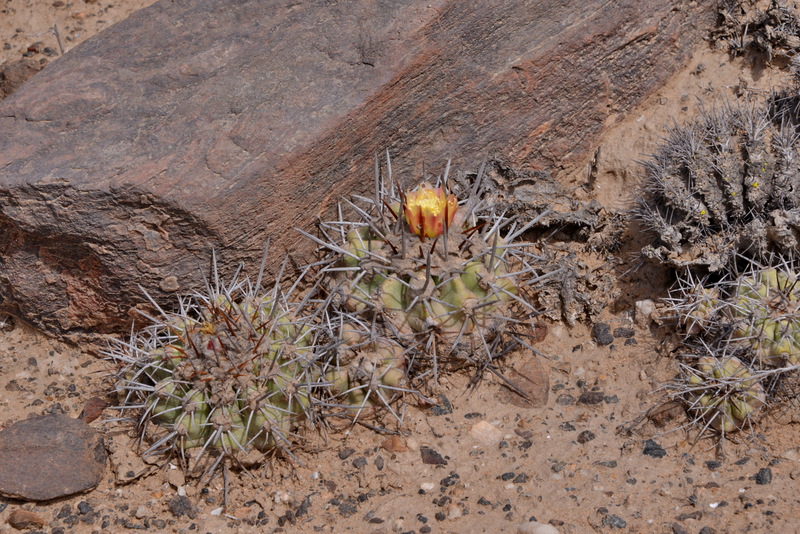 S2949 Copiapoa alticostata, C.coquimbana and C. echinoides are all said to grow here, but which is which? At least we had seen cacti and exercised our shutter fingers! Great!! At the pizzeria we discovered another feature of General Election day, no alcohol for sale! Alain take note – stock up before election day or be prepared to be dry! Saturday, 16 November 2013 – IN Vallenar AGAIN! So no alcohol on election day. Here in Bolivia it is no cars allowed. In 1999, in Tarija, I was escorted to the police pound where the car stayed for the day. I remember working all day on the computer working on the field list. The previous day we were “in the sticks” and would have been fine. You�re running behind! We�re on the 29th! Guess you have a life to lead 🙂 The �No Car� rule would have been OK, as we didn�t have one to use! It already seems a lifetime ago. All�s well that ends well. I seem to remember that in the UK the pubs used to get an extension so that people could carry on drinking while the results were counted. It used to be the main reason to look forward to an election.